This year, we gave out more awards than ever before, with 27 new Five-Stars, 75 new Four-Stars and 30 new Recommended properties earning the coveted distinctions in travel. Those that surpassed our more than 500 standards clinched Five-Star awards, the industry’s highest service accolade. Four-Star winners offered excellent experiences, and Recommended properties were well-appointed spots. 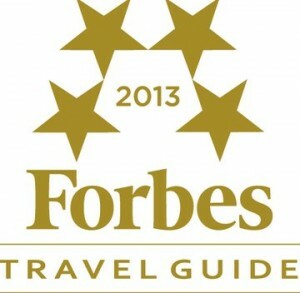 The 2013 Forbes Travel Guide Star lists includes 76 Five-Star hotels, 28 Five-Star restaurants, 35 Five-Star spas; 226 Four-Star hotels, 143 Four-Star restaurants and 136 Four-Star spas. There are 24 hotels and 17 restaurants listed in the “recommended” category. This entry was posted in News & Notes and tagged 5 star hotels, forbes travel by TrueGuest. Bookmark the permalink.